Bring your favorite mouse with you everywhere! 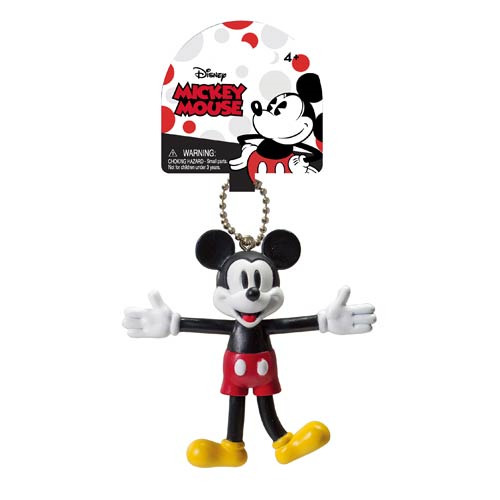 The Mickey Mouse Retro Bendable Key Chain is perfect for any old-school Mickey Mouse fan. Make him strike your favorite Steamboat Willie pose! Measures about 3-inches tall. Ages 4 and up.